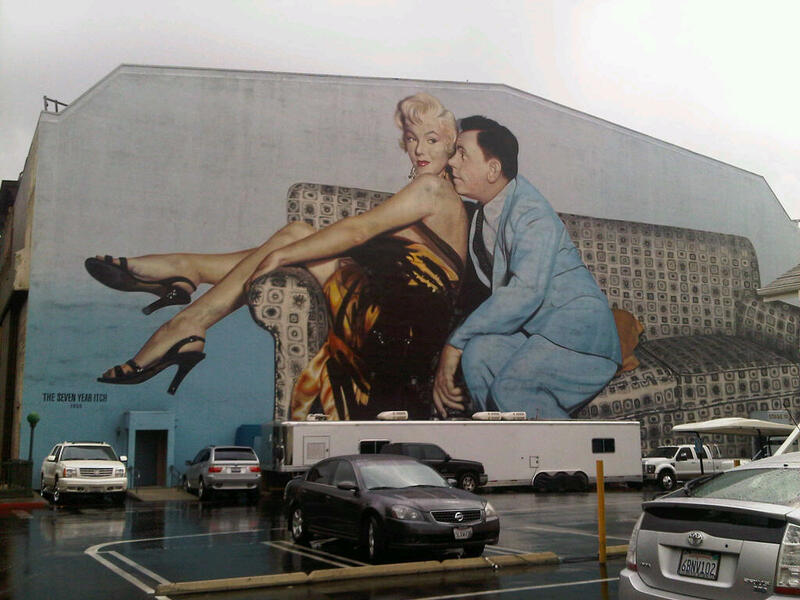 Last week I spent a fascinating afternoon wandering around the backlot at 20th Century Fox. A friend is working on a film there and for me, nothing beats the buzz of a working studio. 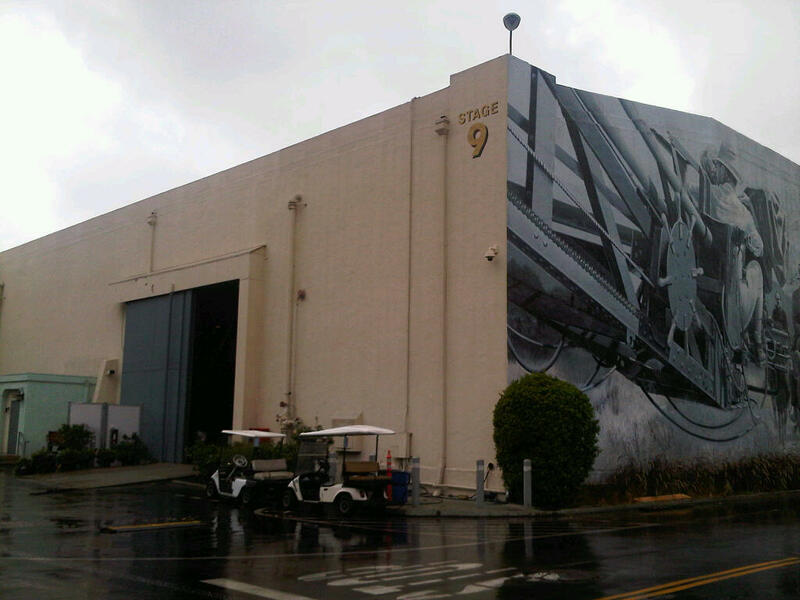 I’m familiar with most of the studios in England: Pinewood, Shepperton, Leavesden et al, but everything here in Tinseltown is on a much grander scale – even the golf carts look bigger! My saunter was miles away from the typical commercial guided studio tour where you’re herded around getting to see little of the real action. 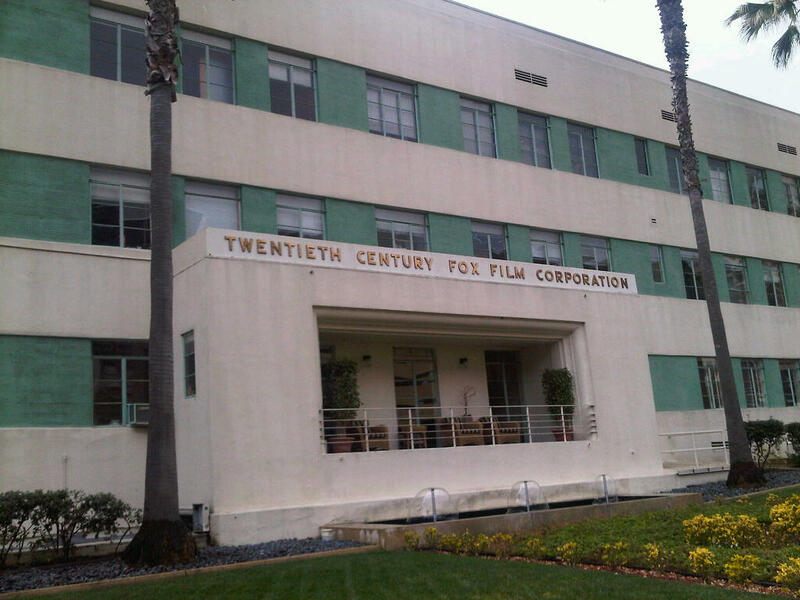 20th Century Fox is based in the Studio City area of Los Angeles, just west of Beverly Hills. Founded in 1935, it was the result of a merger between Fox Film Corporation and Twentieth Century Pictures. Popular blockbusters such as Star Wars, Alien, Speed, X-Men and Planet of the Apes were all filmed here. When the film was released in 1955, Marilyn was the star who had generated the most box-office revenue for Fox in the previous two years. As a result of contractual battles with the studio (she was determined to move away from the dumb blonde roles favoured by the heads) she was the first actor to negotiate a contract that allowed her both cinematographer and director approval. The new contract also allowed her to make films with independent producers and with other studios along with a salary of $100,000 per film. A landmark victory for an actor during this period thus setting a revolutionary precedent for other actors to follow. 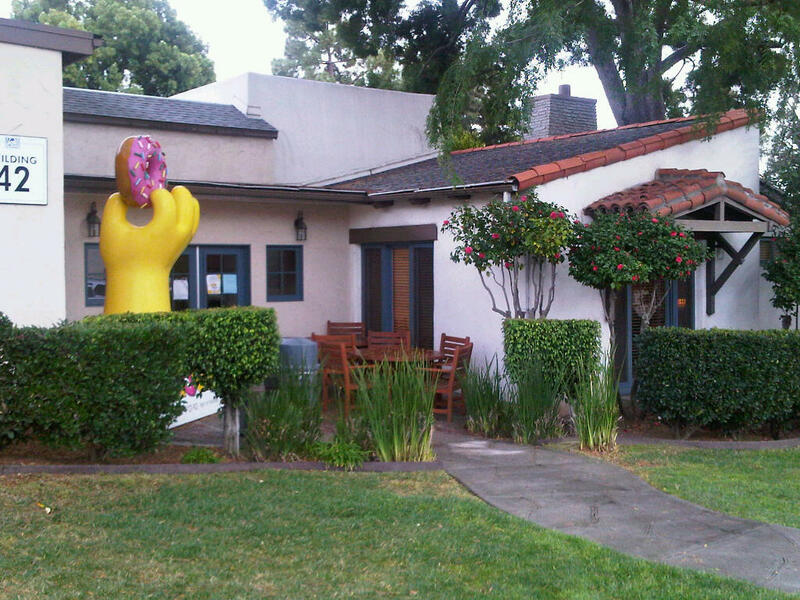 CELLOPHANELAND were guests of 20th Century Fox. Exciting stuff, Julie! 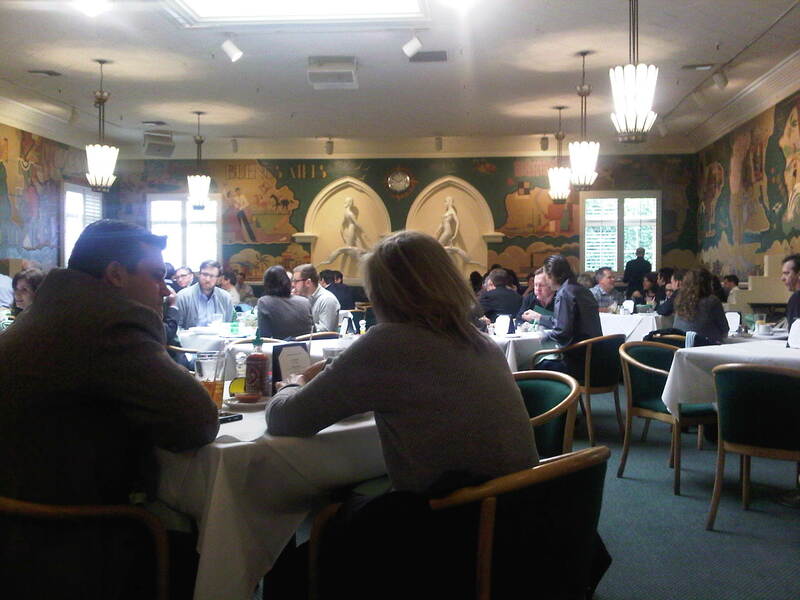 Did you get a chance to cover the GATE conference while you were there? Just FYI Fox is in Century City which was basically built on Fox’s old back lot. Love your pics and would die for an opportunity to see the murals in the commissary. Thanks. 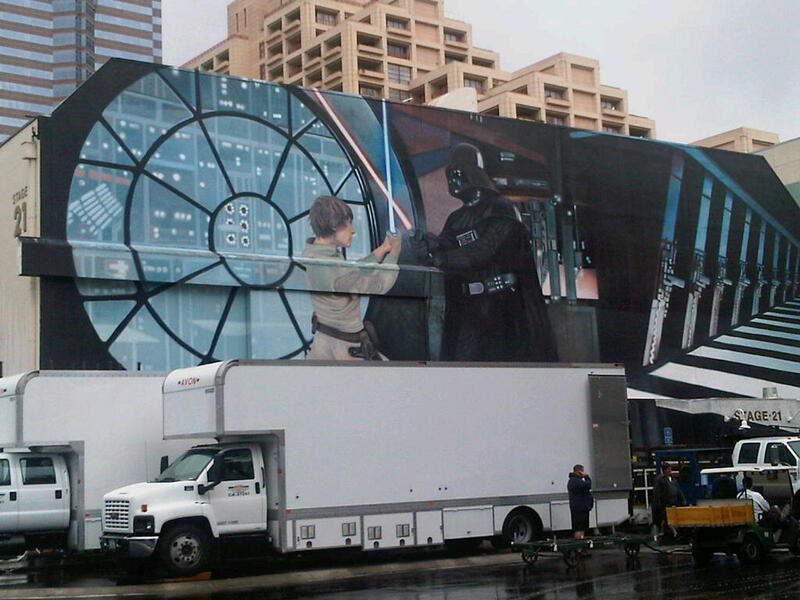 Hope you get to see the murals one day – they’re pretty special!